This course prepares the data analyst to use each of the components of SAS Expected Credit Loss and to test the results that it produces. Participants should be prepared to engage in testing activities and sign off on milestones during the test and deploy phases of the implementation, as well as be prepared to complete the task steps in the CECL monthly production process to generate the required output. This workshop can be delivered separately or in conjunction with two related workshops: SAS® Expected Credit Loss Workshop: Implementing ECL Models and SAS® Expected Credit Loss Workshop: Reviewing and Adjusting ECL Output. Contact a SAS Education Sales representative to determine which approach would be best for you. adjust the scenarios, scenario weighting, and waterfall configuration. 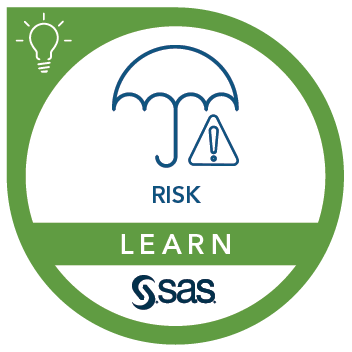 Anyone who is involved in reviewing, testing, and using the output of SAS Expected Credit Loss, including members from finance or accounting, risk management, and model execution or deployment teams. This course addresses SAS Expected Credit Loss, SAS Business Rules Manager software.